Home » Debt Reduction and Management » What is Student Loan Deferment and Loan Forbearance? For many Americans, student loans are a way of life. Their parents had them and graduated with debt, and the unfortunate tradition has been passed down to the next generation. During the boom years of the past decade, having student loans wasn’t necessarily a huge problem. You could go flip houses or earn an ever increasing salary in the marketplace. The financial crash and recession that followed it have made student loans a great misery to many recent graduates. With unemployment at 9-10% for the first few years after graduating, finding a job, any job, to pay for those student loans has become very difficult. If you have student loans and are having trouble making payments, you must act quickly to avoid late fees and other charges in relation to your loan. You do have options to help temporarily alleviate your payment problems. These solutions are temporary fixes — you still must pay the loan back — but can buy you some time to get your financial house in order. Before you call your loan provider to request help, you need to know which option is right for you. Asking for a loan deferment is your first option. A deferment is a delay or suspension of your required monthly payments on your student loans. You can only be granted a deferment in certain circumstances: if you go back to school more than half time, are unemployed, or fall under specific economic hardship requirements set out by the government. You can receive an economic hardship deferment even if you are employed if you fall below certain levels of income under the regulations. 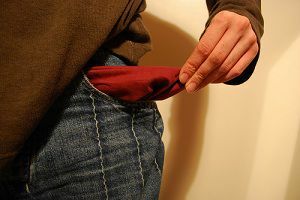 A deferment does not eliminate the requirement for you to pay back your student loans, it simply delays your payments. If you have a subsidized loan, interest will not accrue during the deferment period. However, if you have an unsubsidized loan the interest you owe for the monthly payments you do not make will accrue and be added to the balance of your loans. This increases how much you owe in the future. You can be granted a deferment for up to 3 years if you are claiming for unemployment or economic hardship. A forbearance is slightly worse than a deferment. The impact is the same: you can avoid paying your student loans for up to 3 years due to financial difficulty. However, unlike a loan deferment, the interest you owe on your loans (subsidized or not) will accrue and your balance will continue to grow until you begin making payments. The first thing to know about getting a loan deferral or forbearance is that you absolutely must keep making your normal payments until you are granted a deferment or forbearance. If you fall into default of your loan you cannot be granted either option — so you must stay current at all costs. Aside from that you must communicate directly with the company that is servicing your loan to request a deferment or forbearance. You cannot ask the loan program, Department of Education, or your school for these payment reprieves. The loan service company is the only organization that can grant you a deferment or forbearance. Every reputable loan servicing organization will have contact information on their websites and in your loan documents so you can reach out to them easily if financial difficulties arise for you. Student loans are potentially the next big bubble in the economy. It’s such a shame that such high tuition fees come along with very stringent repayment plans. There will be a lot of people defaulting on these loans if something doesn’t change soon. Useful information. Thank you. With unemployment rates so high, it’s important for students to know that they do have options if they don’t find work after college and are unable to pay their students loans.